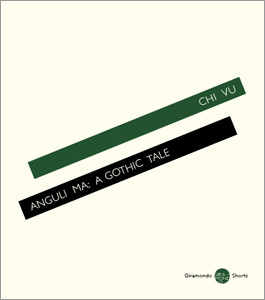 In Anguli Ma: A Gothic Tale, Australian-Vietnamese writer Chi Vu re-imagines the Buddhist tale of a vicious murderer who collects his victims’ fingers, but is pacified and transformed when he encounters the Buddha. Vu’s Anguli Ma lives among struggling refugees in suburban Melbourne in the early days of the Vietnamese diaspora in the 1980s. And his victims are his own community, the widows, the lost boys and the unaccompanied minors who eke out a living in the factories and abattoirs of a new country. More than moving amongst them, the demon is embraced and given a home, though he quickly bests the vulnerable and gullible Vietnamese refugees making do in overcrowded bungalows. Vu brings to life a previously unrecorded world of ugly un-belonging, her characters seeking to improve their situation through the desperate and doomed establishment of hui, communal investment clubs that have a habit of tearing apart families and destroying friendships. Without willing or choosing it, his mind drops beneath the churning waves of anguish into something underneath, as though submerged momentarily into another world. Resting beneath his wandering, agitated mind is the clear and still truth. He has his first taste of not grasping at the future or the past. We think we have a new beginning because we escaped the terror, and came to a new land. But we haven’t left them behind, they came with us! Can’t you see it? There is a subtlety in this strange and quite unique little book (and it is little – at 106 pages it is part of boutique Australian publisher Giramondo’s new list of ‘Shorts’), a lightness of touch and lack of sanctimony that renders the hardship of its characters all the more believable, and therefore painful. In seeking protection from a violent tenant the character Dao musters up the bravery to turn to the police, only to be brushed off and made to answer a series of pointless questions about how her name should be pronounced and the exact provenance of her ethnicity. Vu also shows a very cleverly constructed fictional world in which religion is not separate from the experience of everyday suffering, but an intrinsic part of its purpose. The vicious ghoul Anguli Ma is not a foreign monster, impossible to understand, but someone very like ourselves, removed only be degrees and by levels of experience. And the anger and torment that created him is easily shifted and transformed – hell is available to all, and requires only a small step in the wrong direction to be plunged into. Walter Mason is an Australian writer whose book Destination Saigon was named by the Sydney Morning Herald one of the ten best travel books of 2010.